I perform it daily and I know about SaptaShloki , sunrise and sunset mantras but I wish to chant more and different shlokas like mantras, Vedic Shlokas and Vedic Sukta. Can I ? 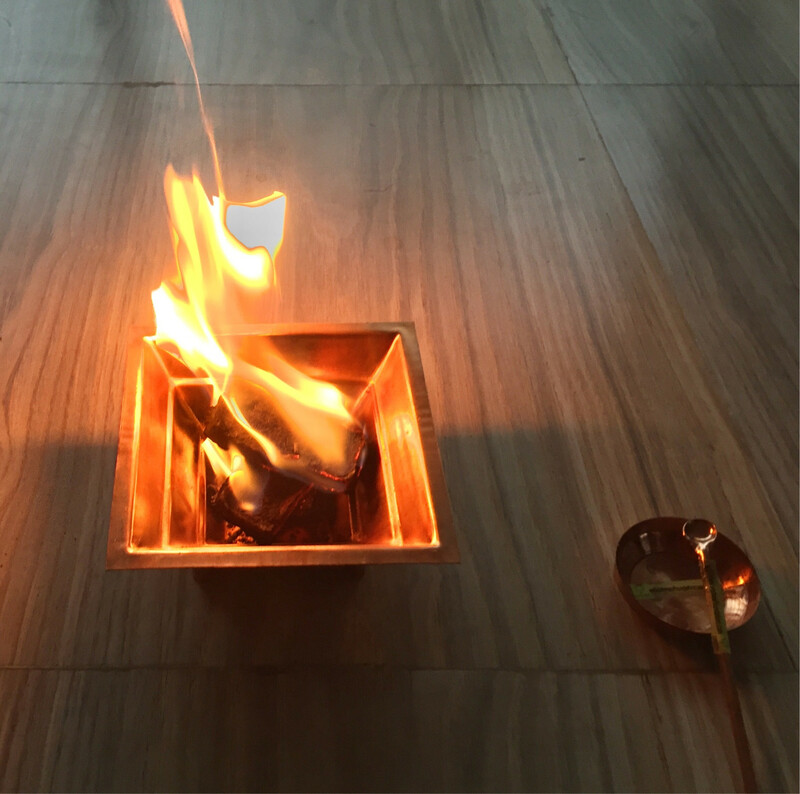 Can I chant Purush Sukta/ Agni sukta or other sukta? There are no complicated mantras involved in the process of agnihotra. However timing is of key importance. There are apps which notify you for exact time sun rise and sunset. During which the ahutis are of maximum potency. The core ritual revolves around ahutis for surya agni and prajApati. So these four are the main mantras to be used. If you want to do something more then you can use gayatri mantra or trayambaka mantras etc. There is no restrictions for adding more vedic mantras after the main ahutis are done. Not the answer you're looking for? Browse other questions tagged rituals mantras sacrifice .